Be a Hero. Save a Life. November is here, and we have a great deal to be thankful for here at Wisconsin Right to Life. We are thankful for you, our generous donors, our tireless volunteers, our pro-life elected officials. And, Giving Tuesday. Giving Tuesday is quickly approaching and, with it, the opportunity to give the greatest gift of all – life – to the most vulnerable members of our society. What is Giving Tuesday? It’s the Tuesday following the shopping heydays of Black Friday and Cyber Monday when you can give a gift that will make the world a better place. YOU can make the world a better place this Giving Tuesday by helping save the lives of our society’s most vulnerable members: the unborn, the critically ill, people living with disabilities, and the elderly. You don’t have to wait until Giving Tuesday to start saving lives – you can begin right now! There is another very good reason to save lives by partnering with Wisconsin Right to Life this Giving Tuesday. Abortion advocates are making hay from Donald Trump’s election. They are urging their supporters to give generously to Planned Parenthood as a protest. No matter how you feel about Trump, we can all agree that Planned Parenthood doesn’t need more money! We need your help to fight what will surely be a pro-abortion onslaught after the new year. When donations are made to your gift page you will receive a notification, the donor will receive an acknowledgement e-mail, and Wisconsin Right to Life will receive vital funds to help pregnant mothers choose life, educate teens and college students, and enable us to continue building a culture that embraces life here in Wisconsin. On Christmas, surprise those you’ve given on behalf of! Don’t stop with just one gift; you can visit our Giving Tuesday page as many times as you’d like. Not giving on behalf of anyone? Just leave the box blank. Questions? Please feel free to contact me, Amy Gehrke, at (414) 308-1051 or agehrke@wrtl.org. The unborn and other vulnerable members of our society desperately need our help. Won’t you be their hero? Wisconsin pro-lifers, you did it. Our stunning pro-life election night victories are thanks to your efforts to support right-to-life leaders and expose the extremism of the Democratic party and their candidates. 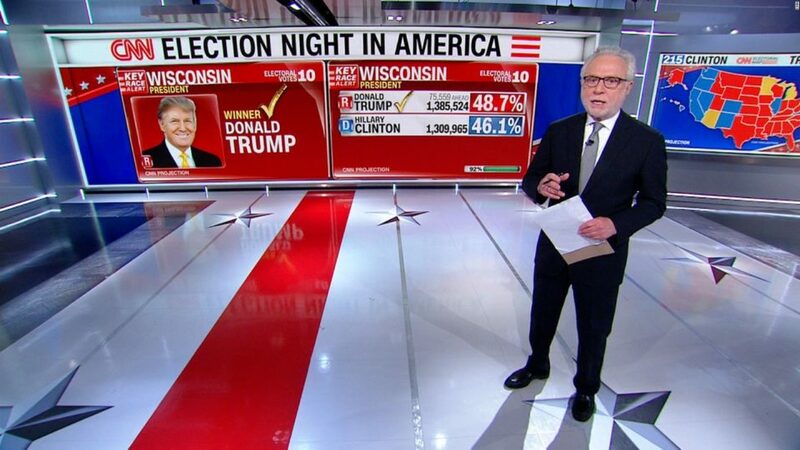 Donald J. Trump and Ron Johnson pulled the biggest surprises of the night, winning Wisconsin for the presidency and the U.S. Senate, respectively. They defied all expectations with their victories. Along with them, pro-life Mike Gallagher, Sean Duffy, Glenn Grothman, James Sensenbrenner, and Paul Ryan all won their congressional races, helping to maintain the national pro-life majority in Congress. On the state level, the State Senate and State Assembly not only kept their pro-life majorities, but strengthened them as well! Nov. 8th’s victories were proof that Wisconsinites reject the abortion extremism of the Democratic party, and that the efforts of pro-lifers to educate voters make a difference. These efforts total to 3,499,000 voter contacts and impressions made, thanks to the tireless efforts of Wisconsin Right to Life’s grassroots network. Now with the right-to-life leaders we have, the pro-life movement in Wisconsin and nationally looks forward to achieving long sought-after goals – ending funding for abortion providers, protecting unborn babies from the pain of abortion, and bringing pro-life justices to the Supreme Court. The pro-life grassroots worked hard this election, and will work even harder until all of our right-to-life goals are achieved! There’s only one word for last night’s election results: stunning. From the top of the ticket to the bottom, we saw more victories than anyone ever expected for candidates who have pledged to stand up to the abortion industry. Donald Trump won the presidency. 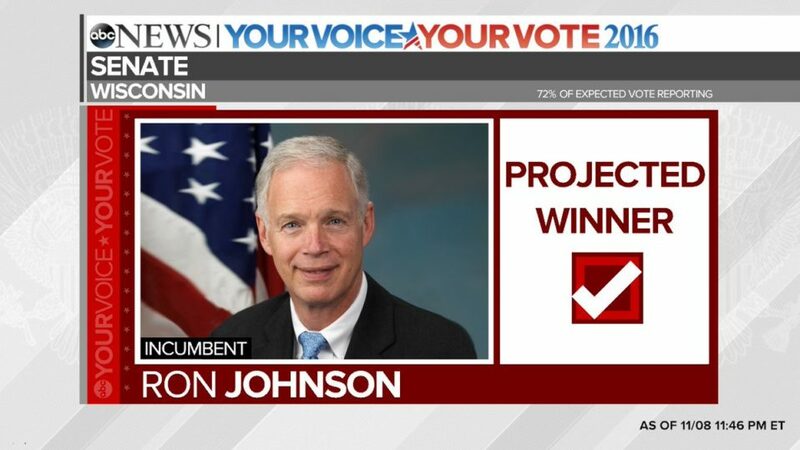 Ron Johnson won re-election and helped retain the pro-life majority in the U.S. Senate. Our pro-life majorities in the House of Representatives, State Senate, and State Assembly were all retained. Pro-life friends, this is our moment to ensure that our efforts to protect the unborn continue forward at full steam. Our pro-life winners last night have pledged to end funding for Planned Parenthood, enact legislation to protect unborn babies from the pain of abortion, and bring pro-life justices to the Supreme Court. We must make sure that all of these promises are fulfilled, and we must continue our work to change hearts and minds to favor life so that ultimately, abortion is unthinkable. We have seen a robust rejection of the Democratic party’s abortion extremism. Now, we have an incredible opportunity to protect the unborn more than we’ve ever seen since 1973. Today is more than a day of celebration – it’s a day to roll up our sleeves and get ready to work. There are lives to save! Oct. 16, 2016 marks Planned Parenthood’s 100th birthday. WRTL’s parent organization, National Right to Life, has put together an “action packet” to help expose Planned Parenthood’s REAL work: killing unborn babies. More than 6.7 million lives have been lost in Planned Parenthood facilities. It is imperative that we expose what Planned Parenthood really does, and what they really stand for! 1.) Write a letter to the editor in your local newspaper. Find samples here. 3.) Pass out this literature and ask people to sign this petition at community events, on your campus, in your churches, and to your friends. Abortion Clinic Closings in Texas – What do they really mean? Please pass this “action packet” along to friends, and thank you for all you do to share the truth! If you are interested in starting your own teens group, contact Joleigh Little at jlittle@wrtl.org! In 2014, Lynda Collicott saw this video of Christopher and knew she was being called to bring this little boy home. Christopher was from Bulgaria, and weighed a mere 10 lbs 2 oz and was 29 inches long when he was adopted shortly before his 6th birthday. 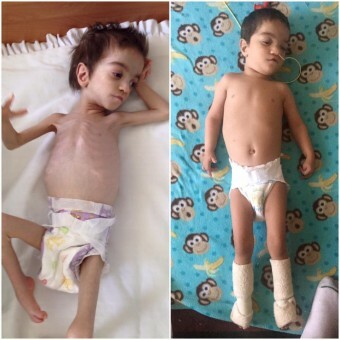 Having several special needs, he was ignored and neglected in the orphanage, barely fed and not cared for. When the Collicotts adopted him, he was unfamiliar with being held and would poke himself in the neck to pass the time, having never had anything else to do. He was adopted just over six months ago on January 18th. Since then, he has made remarkable progress. He now weighs nearly twice the weight when he was adopted, 20 lbs 3 oz, and is 33 inches long. Now in a loving family, he enjoys interacting with people, wants to be held, and can roll over on his own. His parents run the Facebook page “A Life For Christopher” where you can follow him on his journey. Just remember, if anyone says pro-lifers don’t care about kids after they’re born, just think of the Collicott family. 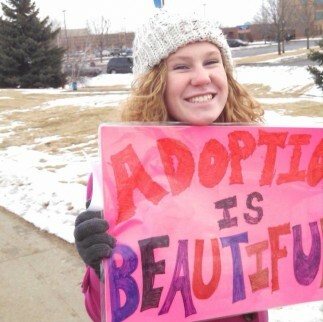 Adoption truly saves lives! County fairs are staples of Wisconsin life – the animals, deep fried oreos, carnival rides, and concerts all make us go back year after year. But have you ever noticed, nestled among the tables of county fair vendors, a table filled with little baby models and smiling people with a “Right to Life” banner behind them? 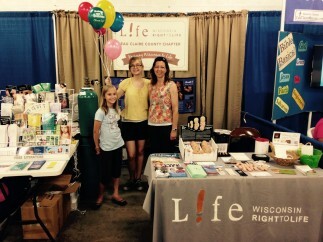 Wisconsin Right to Life’s county chapters for years have had a positive, pro-life presence at county fairs – educating their neighbors about the humanity of the unborn, the resources in the area for pregnant women, and the ways we all can help protect the most vulnerable in our society. 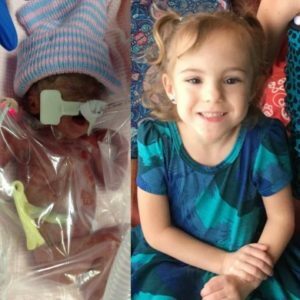 “My daughter was born extremely early at 24 weeks 5 days….She had a five-month hospitalization in different NICU’s [after she was born]. She coded 7 times, was vented 2 months and had medical necrotizing enterocolitis twice. She is now four years old and doing awesome. We took her to the county fair last night and saw the display that Wisconsin Right to Life had. She was so enamored with the tiny babies…I think it really settled into her mind that this was how tiny she was. Isn’t it great when we get any chance to share the humanity of the unborn child, especially with kids like Brinley? If you’re going to a county fair this weekend, keep an eye out for a Wisconsin Right to Life chapter fair booth. And if you don’t see one, why not get a booth started? Suicide is an epidemic in our society. Every month, on the news, there are stories about people who, feeling their lives are worthless, have taken their lives. Many of us have been personally affected by the tragedy of suicide. We all agree that suicide is a horrible and tragic thing. Unless you’re living with a disability, it seems. 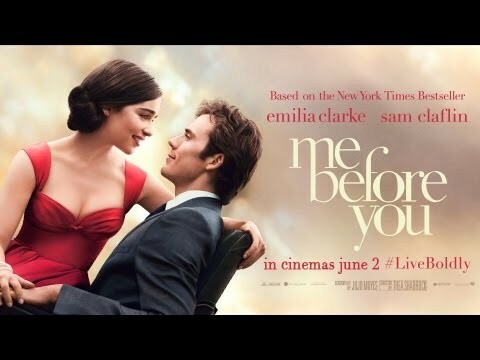 Me Before You, starring Emilia Clarke and Sam Claffin and based on the book by the same name by Jojo Moyes, came out last weekend. At the beginning of the movie, Will Traynor, a young man left paralyzed from an accident two years earlier, is depressed and attempts suicide. When that fails, his mother agrees to support his plan of physician-assisted suicide, but only if he waits six months, hoping he will ultimately decide his life is worth living. As the movie continues, his family hires a young woman named Louise “Lou” Clark to care for him, and the two fall in love. Will is enjoying his time with Lou, but, when the six months are up, he still wants assisted suicide and goes to Switzerland to end his life. As the movie concludes, a rosy picture of his suicide is painted, casting the impression that Lou’s life is improved by Will’s death through the money he left her. According to the movie, the tragedy of the story was not in his suicide, but rather in his disability, and that the only path to freedom for all the characters was in his death. Suicide is a tragedy whenever it happens. However, the idea that living with a disability is worse than being dead is deeply ingrained in our society. As such, suicide can actually be encouraged for those living with disabilities both implicitly or explicitly. Similarly, abortion is encouraged for unborn babies with “fetal abnormalities”—a fancy medical term for disabilities. We need to see through this prejudice at all stages of life and recognize that all lives are valuable. Unfortunately, movies like Me Before You only reinforce the false and discriminatory notion that people living with disabilities cannot have a fulfilling life and are, therefore, better off dead. Life Camp, as told by a camper! Looking for a way to both have fun and learn to make a difference this summer? Have a teen in your life who’s passionate for life? 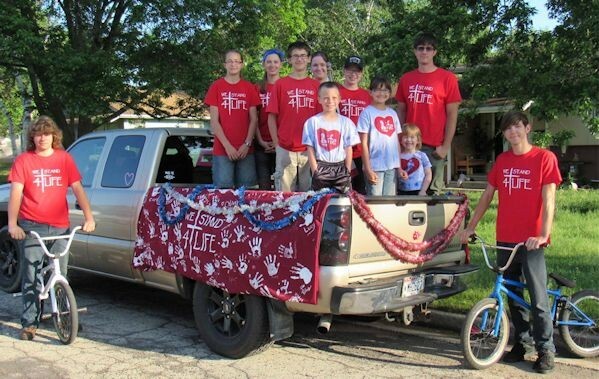 Then Wisconsin Teens for Life’s L!fe Camp is a perfect fit! 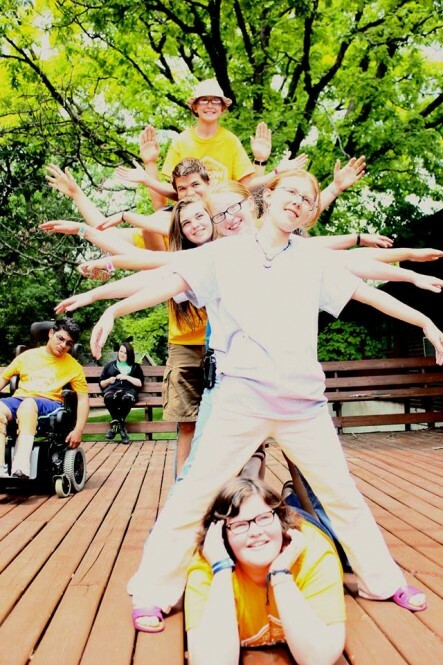 Happening August 7-12 this summer in Osceola, Wisconsin, this camp empowers young people to support and defend lives and builds friendships between teens passionate to stand up for life together. I first attended the camp the summer of 2010. I wasn’t sure what to expect when I first got there because I did not know anyone there, but everyone was really nice and quickly I felt at home. I’m still good friends with a lot of the people I met that first year. Throughout the week, we had wonderful speakers and I could not believe how much I learned. I came home with two binders stuffed full of material to use. Probably the most unexpected part for me was how much fun the camp was. I knew we would learn a lot, but I had no idea how much fun we would have, too, between the awesome games, fun crafts, and late nights hanging out with snacks. I didn’t want to go home at the end of the week. I’ve attended the camp every year since. Honestly, I’m not sure which is better—the useful sessions chocked full of information or the wonderful connections I’ve made with young people all across the state who are passionate for life. Because of training and inspiration I acquired at these camps, I’m now the co-founder and vice-president of Madison Area Technical College’s To Save a Life club and an intern at Wisconsin Right to Life. Countless times, while working on projects for the club, I’ve relied on information I got at these camps and refer back to my now large collection of camp binders. This camp is truly a life changing experience. I can’t believe how much I’ve learned over the years attending, and it has inspired me to make a difference for life. Interested in learning more about L!fe Camp? Click here. DODGE COUNTY, WISCONSIN — A great group of Teens 4 Life joined the parades in Reeseville and Lowell on Monday morning, reminding us how precious is the life fought and won for us by those who make our military great! We thank those who have served in every branch in every century to build a country we are proud to call home! Thanks for signing up... Check your inbox or spam folder to confirm your subscription. Your ticket for the: Be a Hero. Save a Life.